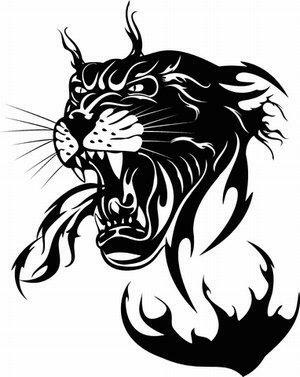 Are you interested in exciting and wild panther head tattoos? The panther is one of the most dominant animals in nature, and many tattoo lovers admire this big cat for this very reason. 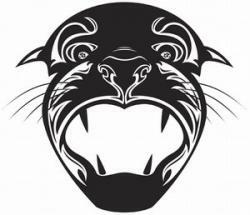 Having a panther head tattooed on the body can inspire inner strength and power. The best known panther is black in color. They are rare in nature since they are the product of either two black panther parents or two spotted leopards with the recessive allele for black coloring. To those who may not follow the science, a black panther is the result of very special circumstances. This rarity is passed on in the meaning of the tattoo. Panther head tattoos denote a unique and interesting person. Although the tattoo may be popular, the wearer is his own person with his own passions. These cats are strong, powerful and elegant. As animals, panthers are known for their dynamic body structure parallel to no other animal, and their heads are the best example of their dynamic form. As a tattoo, the panther head can symbolize that you are like no one else and demand attention. A panther head may even encourage some respect from anyone who views the tattoo. For those interested in panthers for aesthetic reasons, consider a basic panther head. Sometimes, simple is best. A talented tattoo artist can import a few special touches to push the design beyond average. If you are thinking of getting a panther head in memory of someone who has touched your heart, consider adding a name or quotation under the head. Even if you are interested in the piece for other reasons, the head design lends itself nicely to having words underneath. While the design is nice on its own, you can add to the power of the panther's head by placing it in a collage of other animal heads. Each head could represent a different aspect of your character. Full color and elaborate designs are nice, but sometimes a simple outline piece can convey a stronger effect. For people who don't want a larger, ominous piece, the outline of a panther head might be delicate enough to fit the bill. Animating the head in some way can be another great design idea. For example, you can open up the animal's jaw in a snarl or place something in its mouth. Interested in more cartoon patterns? An animated panther head like the character from the Jungle Book might be up your alley. A panther's head is the perfect piece to display on the shoulder. The animal can be inked to look as though it's peering out at the world. For a large, statement piece, consider a full back tattoo. High detail and shading elements can make the piece pop. For smaller outline work, the hip bone or inside ankle can provide the perfect canvas. While the piece may be more likely to hurt a little, any type of joint can provide the perfect means to show your panther head design in action. Putting the design above the elbow will create lifelike movement with every motion you make. For those who are brave enough, the face can be a great place to put this type of animal head. If you've decided that the bold and brave panther head is the perfect design for you, be sure to find a powerful design that pays homage to this wild creature!